The thing about newspapers is that you don't really need the newspaper to read the newspaper any more. The Internet! If you find reading online a little hollow for some intangible reason, you might like the New York Times' new web app, Today's Paper, which is organized like the New York Times in print. It's positively functional. No flare, just reading. Kind of like...a newspaper. The point of Today's Paper is to give reading the Times online the editorial coherence of reading a newspaper. And that makes sense to a point. Looking at the New York Times' homepage is a huge jumbled mess of links compared to the austere front page of the print edition. The print gives you an order of operations whereas the Internet forces your to choose your own adventure. So Today's Paper isn't going to save journalism. It's for paying subscribers only, which is probably a dying model for us news media people. Furthermore, people don't read online the way they do in print. Online, the news your should read finds you because people are passing links around. You don't need a dashboard for your newspaper as much as you need a dashboard for your Twitter, right? 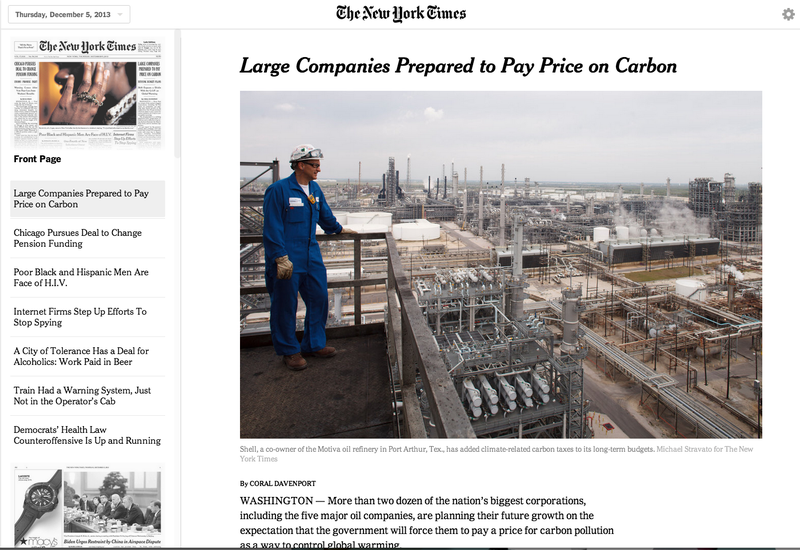 But as a destination for browsing the NYT, Today's Paper is a fine experiment that's clean, and easy-to-read.